A serious pandemic situation can strike suddenly, develop quickly, and come from seemingly out of nowhere. If this kind of biological event breaks out, knowing how to respond as well as how to prepare for a pandemic ahead of time can make all of the difference when it comes to survival. A major outbreak of a highly contagious disease that affects large numbers of people around the world is becoming increasingly likely. Whether looking back to major events in the last century such as the 1918 (Spanish Flu) influenza pandemic, or even further back to outbreaks which brought devastation to entire continents, it’s clear that these kinds of events have the capacity for widespread devastation. While modern medicine provides us with at least a fighting chance against ‘the next big one’ when it eventually hits, the proliferation in low cost air travel alongside a changing climate has greatly increased the potential for a major biological disaster occurring. In this guide we’ve taken a look at how to prepare for a pandemic to ensure that if people do start getting sick, you’ll have laid the ground work for a strategy that helps you and your family stay safe and ride out the worst of it away from harm. A pandemic can effectively be thought of as the worldwide spread of a disease and while this can represent any disease, the most common association are the various forms of the influenza virus which in their pandemic form (as opposed to the ‘standard’ seasonal flu outbreak), can wreak havoc across large numbers of people. There is however, an important distinction between seasonal flu outbreaks and pandemics in that while the former tends to pose the highest risk to the elderly and those with weakened immune systems, pandemics (H1N1 being a good example) can have a tendency to affect younger populations a lot more seriously. Knowing the basic characteristics of major disease outbreaks and the general response by authorities and the wider population will help you prepare for a pandemic with minimal stress and confusion if an outbreak is declared. So what’s the difference between a pandemic and an epidemic? Put simply, an epidemic is a disease that spreads to affect more people than would be usual for an area, whereas a pandemic is when this effect is global. What this means in layman’s terms is that while an epidemic can be thought of as more regional and localized, a pandemic is considerably more widespread, possibly more virulent, and almost certainly more of a serious risk to worldwide human health. Pandemics occur when a new virus emerges and begins to spread, causing the disease to take hold worldwide. It’s important to remember that viruses such as Influenza A are always evolving and while the first of the two main kinds of this evolution (known as antigenic drift) is the cause behind regular outbreaks of seasonal flu epidemics, the second kind (known as antigenic shift) leads to outbreaks of global pandemics of the virus. The antigenic shift behind these kinds of pandemics operates by introducing a new strain into the human population, often from the transmission of a virus from another species across to humans. For some cases of avian flu for example, this is what you’re looking at. One major concern for the near future also involves the as yet unknown affect of a changing climate on the prevalence, frequency, and severity of major epidemics and pandemics. On the one hand, increased global temperatures may well have a significant effect on the ability of contagious diseases to flourish while increased migration from areas of the world most effected by environmental changes could well cause such a disease to spread quickly to other parts regions. There is also concern among some that the continued melting of global permafrost has the very real potential to unleash previously dormant diseases to which we may have no immunity. If a pandemic scenario becomes a reality, the situation will likely develop rapidly with little (if any) advanced warning. With that being said, there are things to be on the lookout for in the days immediately preceding a pandemic and certain follow-on factors to be aware of and prepared for when it becomes apparent that a major pandemic event is underway. In this part of the guide, we’re going to assume that a major pandemic is underway with a severity that represents a species-level risk. While this is certainly on the more extreme side of the scale, it’s by no means out of the question as the world continues to undergo the changes of the present and planning for the worst case scenario will leave you in good stead for any lesser outbreaks that occur. Here’s what you can expect in the event of a serious global pandemic. When a pandemic situation is imminent, unless you’re at ground zero, there may well be some clear signs that an outbreak is unfolding if you know what to look for. Watching and listening to the news for instances of illness spreading rapidly in another part of the world will give you a good idea of when things may be developing and it may actually not make mainstream news outlets in the early days of an epidemic in an area. In this instance, the pattern, speed, and severity of the disease’s spread will probably be apparent during these early stages, providing a good indicator of when the effects of the disease are likely to be on your doorstep. If your emergency response plan involves evacuating to a pre-prepared remote location, then now is the time to prepare your vehicle and begin putting this strategy into action. If you’re planning to stay home on the other hand, it will now be time to make the final preparations for a prolonged period of ‘bugging-in’, making your property ready to weather the storm before it hits and before panic buying takes hold in the local population. If you don’t have your home prepared with the necessary supplies by this stage, then this will be your final call to load up with enough provisions before everybody else gets the same idea and/or it potentially becomes too hazardous to risk exposure to large groups of people. Government guidance and advisory from groups such as the World Health Organization will likely begin to appear as the pandemic begins to take hold across wider areas and will provide a basic level of advice and information in order to reduce fear and limit the spread of the disease as much as possible. Depending on how serious the illness is, this advice may be anything from “stay home from work and school if you feel unwell” to mandatory orders to remain indoors at all time to prevent infection with quarantine orders in effect. The main thing to remember here is that whether a disease is airborne or transmitted through some other vector such as in the water, limiting your dependence and contact with the outside world during this period is going to be critical to minimizing the effect of a major pandemic on you and your family. This means ensuring ample access to clean drinking water, food, medicines, and the essentials for home survival are of the utmost necessity – see How to Prepare for a Pandemic below. Governments and scientists will almost certainly respond to a serious pandemic event in the first instance with the rapid research and production of a vaccine to try and tackle the disease, however this process will always take time and the severity of the outbreak along with the speed with which it spreads will have a significant effect on these efforts, if bad enough, potentially stalling development completely. Another often overlooked element to expect in the event of a pandemic is the complete loss of services, logistics, and utilities. Basically, anything that requires staff to carry out a job in person is at serious risk during this kind of event meaning you can expect power outages or rolling blackouts if the situation deteriorates to an extent to which manned power plant operation and maintenance is affected by the spread of the disease. Similarly, you can expect that a large number of services in the area will likely shut down completely including mail, transportation, and schools. The probable exception here will be the emergency services which will hopefully have a good level of contingency in place to ensure they remain operational during such an event. With this being said, these services are likely to be extremely stretched if a biological disaster is unfolding and it is highly probable that the military will be brought in to assist with efforts from law enforcement to maintaining quarantine orders if in effect. If efforts to check a major pandemic fail, the disease may begin to spread like a wildfire around the world. If it becomes clear that efforts to contain a major pandemic have failed, the ensuing panic may see a total breakdown of civil order with people ignoring any mandatory curfews, quarantines, or emergency legislation. In this scenario, an enforcement of martial law is probable as is the potential for widespread looting, rioting, and violence. This kind of situation will almost always be more pronounced in urban areas, population centers, and areas of high density. Expect extreme restrictions on movement and information and ensure that you’re able to protect and defend yourself and your property from looters if the threat to safety becomes real. This scenario could take hold as a result of, or independent from Scenario A and would ultimately involve the disappearance of government and national systems from the scene either at a low level or across the board. The results of a systemic collapse would likely take the form of a collapse of utilities provision such as power and in severe instances, could even involve a breakdown of law enforcement and military. In the event of a complete systemic collapse as a result of a global pandemic, the societal recovery time may take months if not longer and in preparation for this, it’s important to ensure that a longer term survival, adaptation, and recovery plan is in place for yourself and your household when it’s safe to leave your home. Without a shadow of a doubt, preparing for a pandemic (as with almost any other major emergency situation or disaster) is about giving yourself the maximum lead time ahead of an outbreak occurring. What this means in terms of preparedness planning is ensuring that you’re well ahead of the curve when it comes to gathering sufficient supplies and equipment at home. If a pandemic breaks out, the key strategy critical to survival will be the avoidance of other people, particularly in largely populated areas or where people congregate, potentially for many weeks at a time. Depending on the characteristics of the particular disease, the incubation period may well mean that those infect may not show symptoms for a number of hours or even days after initial exposure to another infected individual meaning you simply won’t know who is and who isn’t unwell. With this in mind, a top-up run to the grocery store pharmacy is simply going to be out of the question if you’re going to be able to adhere to the golden rule of avoidance. There’s a very good chance that in the event of a serious pandemic or contagious outbreak, a mandatory order may even be given by the authorities not to leave your home anyway. Either way, in order to prepare for this eventuality, it’s critical that you’re home preparedness supplies are sufficient and up to date. The essentials of home preparedness apply during a pandemic and it’s critical that you’ve stored enough food, drinking water, medicines, and other emergency essentials in your inventory ahead of time if possible. Stocking up on a comprehensive supply of emergency food and clean drinking water for a prolonged period of time are priority number one when preparing for a pandemic. Critical for life even when times are good, ensuring access to plentiful, clean and safe drinking water is essential in any disaster situation and can literally be the difference between life and death during a disease outbreak. A drinking water storage strategy is a fundamental component to any emergency home preparedness plan and should look to include multiple layers of contingency for when the taps run dry or the usual supply of drinking water becomes unreliable or compromised. Firstly look to store ample bottled water for every member of your household for anywhere from 4 weeks to 4 months if possible (more is always better if space and budget allow). Store this primary supply in an area that is cool and dark until needed. Your second line of water security should take the form of multiple high-performance mechanical water filtration systems that can be called upon if needed. Again, store in a convenient and safe place until needed. As a final fallback option, invest in multiple chemical purification options and learn the essentials of starting a fire from scratch should you need to boil water for use in an emergency survival situation. Most disaster home preparedness situations mean that you should look to maintain a provision of food for at least a couple of weeks and ideally longer, however preparing for a pandemic scenario should see your stores assembled for a significantly longer period, possibly for a couple of months or more if your budget and space requirements allow it. If you haven’t already, look to start and grow a home preparedness pantry of shelf-stable, easy to prepare, and nutritious food that can be stored in bulk and called upon for the complete needs of you and your family if you’re confined to your home for a prolonged period of time. This emergency food supply can be built up over time, in batches, or purchased in bulk, the ultimate goal is to ensure that you have a contingency of survival nutrition to fall back on if leaving the house is suddenly not an option. Dedicating a closet, shelving or racking area, garage space or similar to the purpose of preparing a survival food pantry will allow you to meet your dietary requirements throughout a crisis and of particular importance during a pandemic situation, will ensure you’re health and immunity aren’t compromised. With this last point in mind, as part of your food planning strategy, invest in a variety of full-spectrum multivitamin and mineral supplements ahead of time to help bolster your natural defenses in the face of a biological threat. With the exception of a vaccine being created, there will be little that can be done with the exception of maintaining natural immune system performance and avoiding exposure to people as much as possible. In fact, until the preparation of a vaccine which is delivered to the population at large, the mantra “prevention is better than cure” will absolutely hold true. 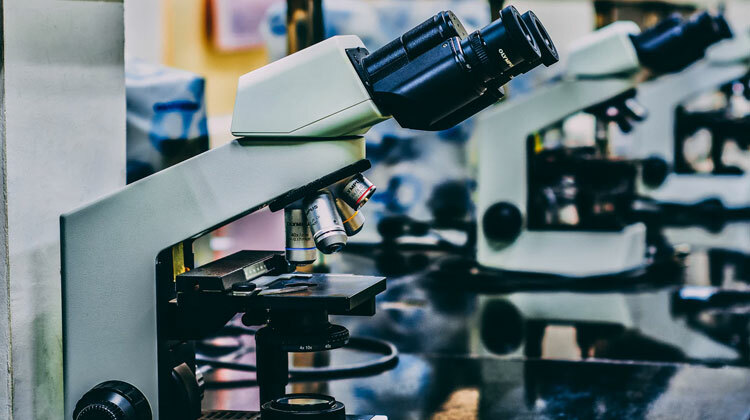 The major considerations will therefore fall into a couple of major categories when it comes to preparing your medical supplies for a pandemic scenario. 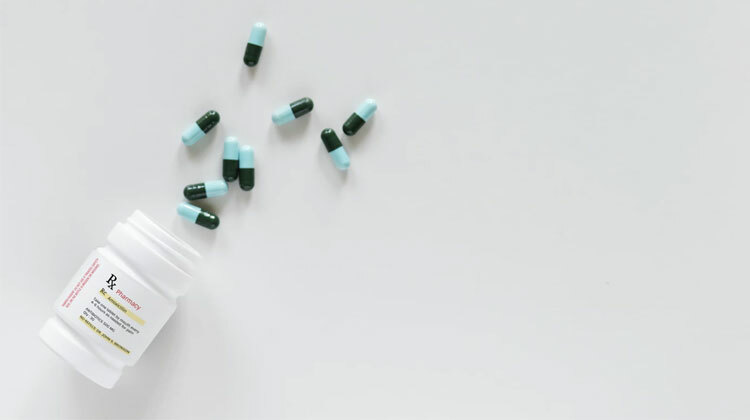 Primary considerations should be given to ensuring that a sufficient supply of prescription medication are available for any in your household who need them. If you’ve been able to plan and prepare the other elements of your home preparedness supplies ahead of time (food and water), then ensuring you’ve got access to prescription drugs should take an equally important position once before you batten down the hatches. With essential medications in stock for a potentially prolonged period without access to the pharmacy, the next essential medical supplies to stock up on are those for treating symptomatic illness and ailments. In this case, pain relief, anti-inflammatory, fluid-replacement/dehydration, and anti-allergy medications should be stocked up on as a priority. Supplement this initial round of medications with cold and flu relief products as well as investing in the basics of home-remedy solutions – honey, lemon, black pepper, and turmeric are all good staple choices here. With primary health prescriptions and symptomatic conditions taken care of, the final thing to include in your home medical preparedness supplies is a comprehensive first aid kit and a high quality book of first aid. This will allow for the treatment of minor injuries and triage in the absence of emergency services if required. Preparing for a pandemic goes beyond simply ensuring that you’re isolated from those infected and have enough provisions stored in your home. A major outbreak has the very real capacity of shutting down the majority of services and utilities that we take for granted on an everyday basis. In this case of course, it’s highly plausible that interruptions to (if not an outright loss of) power could occur, meaning that you’re going to need to ensure that multiple contingencies are in place for maintaining your own source of energy in the event of a pandemic. In the first instance, the obvious area to prepare in the event of a serious power outage is in the provision of multiple sources of backup illumination if the lights go out and you find yourself in the dark. Investing in several high quality flashlights and backup batteries will ensure that if the power’s down, you won’t be caught short. Look to store these in multiple strategic points around your home to make sure that there’s always a source of illumination to hand if you suddenly lose power. If you lose the connection to your energy supply in a pandemic, there’s always a chance that it’s going to be down for a prolonged period time depending on the severity of the outbreak. With this in mind, the next priority for a power preparedness strategy should look at securing a reliable backup energy generation system which can be called on if the grid goes down. The two main options when it comes to emergency power generation are conventional gas-powered generators and solar generation systems which utilize sunlight to deliver a charge to a battery for use around the home. There are pros and cons to each of these types of systems but in a nutshell it boils down to the fact that conventional generators tend to be noisy to operate, produce fumes, and of course require fuel to run, however are able to deliver a significant output of power in exchange for these drawbacks. Solar generators on the other hand tend to produce less bang for your buck when it comes to energy generation and are dependent on sunlight in order to operate, however they offer a potentially limitless supply of energy (weather depending) and operate silently. As with all of our preparedness guides, we reference as many expert sources, real world user reviews, and opinions as possible so we’re able to provide the most relevant and educational information on how to prepare for a pandemic or major biological outbreak if disaster strikes. 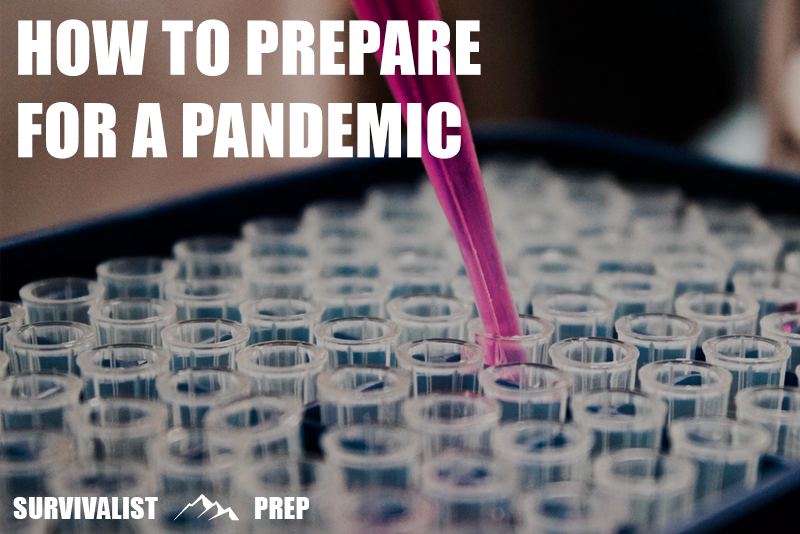 Knowing how to prepare for a pandemic is ultimately a highly personal activity with individual needs and preferences sometimes varying considerably between people, locations, and specific situations. With these considerations in mind, this guide looks to provide advice on our own opinions of how to prepare for a pandemic, however, it’s always important to carry out your own due diligence to find the best solution for you when developing a strategy, plan, and solution that’s perfect for your situation.